News.com: "Microsoft plans to follow Apple in selling unprotected songs from EMI." At times like this I think our President has an emotional age of about 14 or 15. Twapper lets you "keep up with Twitter on your mobile phone browser." Lifehacker: Get happy in 60 minutes. I'd like a preference that told the browser to remember the text size option on a per-website basis. Some people use styles that make the text too small to read. So I make the text larger. Then I navigate away. Make the text smaller. It would be nice if the browser popped up a dialog asking if I'd like it to remember this text size for this site for the next time I go there. Crazy Bob says NoSquint is just the thing! Jason Lefkowitz found something even better -- a minimum font size preference. I just tried setting it to 13 and already some sites are more readable (like Gmail). Thanks!! 1. I have been a platform vendor. 2. I had to live within the platform of a huge vendor. 3. I observed up-close how huge vendors dealt with developers in platforms I didn't develop for. From the vendor's perspective: How can I prevent collisions with developers? This is what the platform vendor worries about, assuming they care about their platform continuing to be a platform. I tried to deal with this by telegraphing my roadmap to developers. Aldus, whose Pagemaker product had an active developer community, had a rule that they wouldn't squash a developer for at least one product cycle, that is, they wouldn't integrate a developer's idea as a feature until version 4.0 if it came out during the lifetime of 2.0. Not sure the developers would have appreciated this if they had known about it. From the developer's perspective: How can I choose a niche that's either not likely to interest the vendor, or one that's likely to get me acquired by the vendor or another big company with lots of money who wants to make trouble for the vendor (in the latter case, Microsoft on the Mac in the mid-late 80s is a good example). Sometimes developers choose a niche that's either directly in the path of the vendor, or even worse, on the roadmap of the vendor. In those cases, they don't really deserve our sympathy. It's almost like a game of PR, there's no way you're not going to have a fight on your hands. The various vendors of widget environments on the Mac come to mind. The issues are so thorny and so impossible to solve that I came around to the opinion that the only solution was to get rid of the idea of platform vendors altogther, and see the Internet as the platform without a platform vendor. That actually seems to be working! I tried to help RSS be such a platform, and so far it's resisted various attempts by technology companies to turn it into something they control, where one vendor can crush anyone that enters their eminent domain. Today some technology bloggers are debating the issues around the future of Mozilla, which is the oddest of beasts -- it has a non-commercial platform vendor, a foundation, and it's rich, generating tens of millions in revenue. They are truly a dangerous vendor to develop for, how are you going to figure out what motivates them (not profit for sure, their problem is how to get rid of the money they accumulate!) and you surely can't get acquired by them, and foundations don't attract competitors, so it's hard to imagine a rich suitor coming along wanting to create trouble for them. Looks like somehow we've backed into a pretty tough corner. No matter how nice they are, how benevolent, they're going to make more and more developers miserable, and their existence might not be good for the health of the browser ecosystem, long-term. 8/22/95: What is a Platform? Just some thoughts from a guy whose been around this block a number of times. Turns out Scott Knaster, who I've known since the very early days of the Mac, has been working on Google Desktop for the Mac, which just came out today. I tried it on Windows when it came out in 2004, and was really psyched, but it didn't turn out to be as useful as I thought it would because most of my work had migrated to the web. Today, even more so. I have four computers that I use regularly, so there's really very little that's unique about each desktop other than its location (and one of them has Parallels and Windows XP, which I still find amazing). But Scott's one of the best designers I've ever known, and a great guy, so I'll probably give it a try. Phil Jones asks if there's scripting in the OPML Editor. Yes, of course -- it's running in Frontier, which was GPL'd in 2004. It's got the full environment, the object database, scripting, verb set, TCP support, web server, CMS, etc. You can see lots of examples starting in the Window menu. The community functionality is implemented in dotOpml.root. There are new docs for the Twitter API. They're more philosophical and a bit more dense than the previous version, which may have lacked detail, but it was all guessable, and served well as a crib sheet for programmers. This one, not so much. Good news, it appears there are two new entry-points for sending and receiving direct messages. I've already written and released glue for the OPML Editor for receiving, I'll do the sending part later this morning. This feature was the basis for the speculation in this March 28 piece. There's a scary bit in the docs, where they say they're working on an authentication scheme we are not familiar with and have no code to implement. Are they going to break us? I wish I didn't have to worry. I added a Twitter badge in the right margin. Not sure how long it will last. MD answers some of the questions I asked on Twitter earlier today. Technorati was the key to me finding his post, btw. Postscript: I got a note from Alex Payne who's working on the API at Twitter, and he says the current authentication method will not be deprecated, so that's a relief. I'm having fun with this stuff, and adopting a new method of authentication, esp one that isn't supported in my environment, is work! 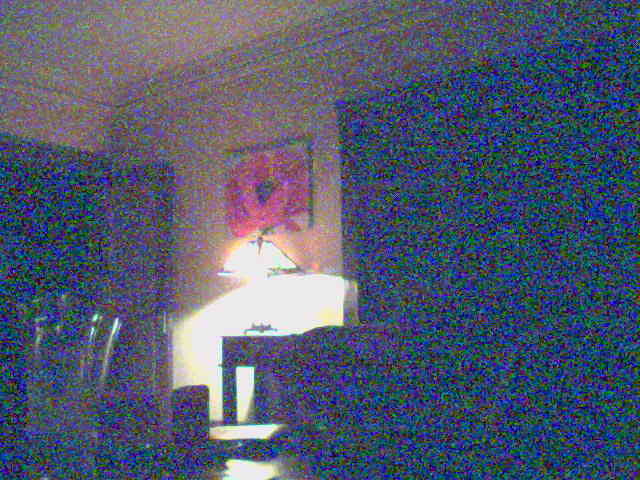 Last update: Wednesday, April 04, 2007 at 8:51 PM Pacific.